The municipality, where the village centre is located at the intersection of Highways 202 and 203, is nestled in the south-west of the MRC along the Canada-US border. The territory is characterized mainly by Covey Hill, with an altitude of 342 metres. 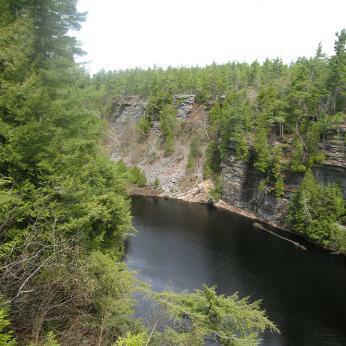 A natural laboratory was established by UQAM to study the hydrological and hydrogeological dynamics of the region, populations of rare and endangered salamanders, the plant ecology of peat bogs, the effects of climate change on the Covey Hill hydrosystem and paleoecology. With its generally hilly relief, Havelock offers incomparable rural landscapes. Stevenson Road and Covey Hill Road offer especially spectacular panoramic views of the St. Lawrence Valley. 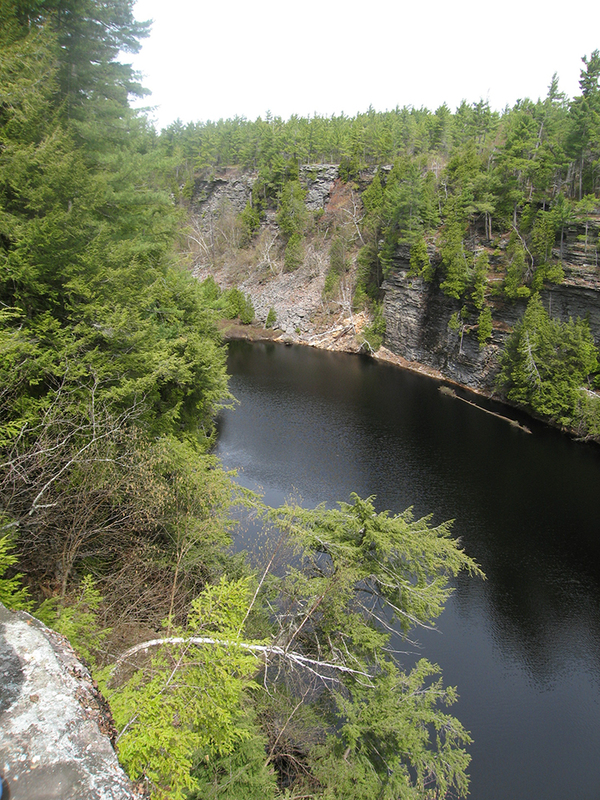 The Havelock Woods provide a habitat for white-tailed deer, while the Le Gouffre site is a lake with floating peat bogs. This lake flows into a beautiful deep gorge that is steep and narrow before flowing into a small swampy lake located on the American side. This site holds remarkable value from an ecological and geological standpoint. A border crossing is accessible via Route 203. Bordered on the West by Franklin and on the East by the municipality of the Township of Hemmingford, Havelock is located in the southeastern extremity of the MRC du Haut-Saint-Laurent. The municipality, which derives its name from the homonymous township of the same name, which was established in 1858, was created five years later in the present administrative region of the Montérégie. The Havelockians owe their demonym to the English General Henry Havelock (1795-1857), who participated in the Crimean War (1854-1855) as part of the coalition forces of Turkey, Great Britain, France and Sardinia, which eventually defeated the Russian forces. His memory has also been celebrated through a number of other Canadian place names in Ontario (Peterborough County), New Brunswick (King County), Nova Scotia (Digby County). It was however his participation in the first liberation of Laknnau (Lucknow), India, on September 25, 1857, during the great mutiny that threatened to massacre the British population there, that has been emphasized. From a religious standpoint, the Catholic population, long a minority in the area, was served by the parish of Saint-Romain-de-Hemmingford, which was established canonically in 1853.